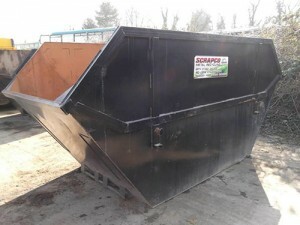 As well as from offering scrap cars and scrap metal services we also offer a range of skips from 4yd to 12yd and 20yd to 40yd roll on/roll off bins, all of which are supplied and collected free of charge. There are many situations where space is at a premium and skips and bins are too large to accommodate, and it can be difficult to work out the logistics of placing them. This is why we have a large range of sizes, materials and types of skips and bins to suit any customer, and any situation. Auto centres or garages are an ideal example of a situation in which space-saving is a priority. We would supply a tall, upright mesh trolley to such a customer to enable a greater volume for storage, whilst maintaining the space-saving concept. We currently have a nationwide auto centre successfully using this system, as well as our scrap services, with our tailgate vehicles exchanging the trolleys on a monthly basis. This service can be extended to other auto centres, garages and even other sectors not in the auto industry. We also provide skip hire to domestic customers. Do you have scrap for sale? 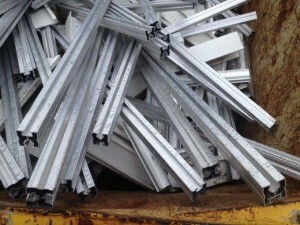 Then call in at your local Scrapco depot and our site team will purchase your metal at the best possible prices. We accept all types of metal, ferrous and non-ferrous. Why bring your metal to Scrapco Metal Recycling Ltd? All sites are fully licensed. Duty of Care transfer note with every transaction. DVLA certificate of destruction issued. We take in small or large quantities of scrap from plumbers, builders, electricians, waste recyclers, manufacturers and engineers to name a few. Whatever the amount, we will pay the best price. Scrapco Metal Recycling Ltd offers the complete service for all your metal collections requirements throughout the UK. We have a multi-functional fleet of vehicles, all of which are fully FORS Compliant. Our fleet includes recovery trucks capable of carrying up to six cars at once, HIAB/crane lorries, 26 tonne trucks and articulated bulk tippers. Our aim is to be able to provide our customers the complete package, get in contact with us today!